I got some news the other day from the doctors and I had all weekend to process it. It wasn’t what I was expecting, but it’s something that I need to deal with and take care of. 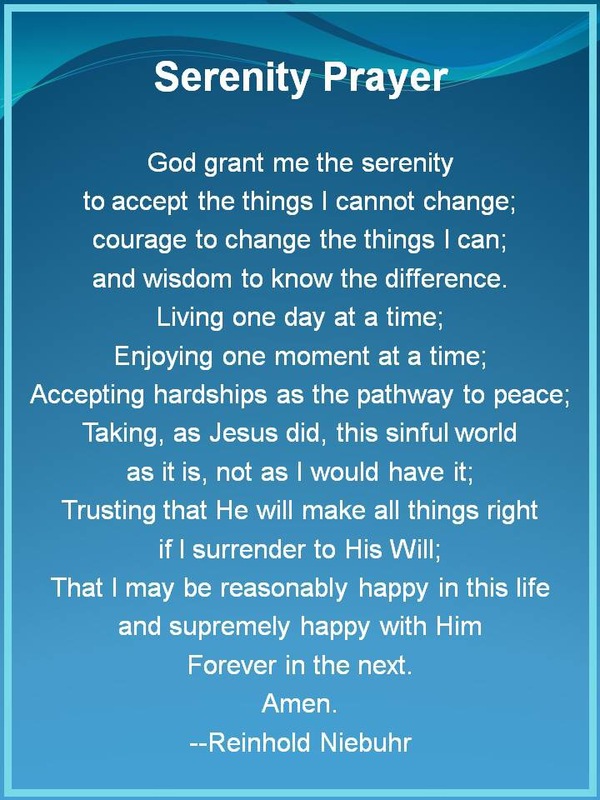 So I remembered the Serenity Prayer and thought I would say it to myself when I need a little boost.